There’s no question that bottled homebrew is a vastly more convenient method of sharing your brews than kegging. You can bring in a bottle to share with co-workers in an innocent looking bag for them to take home, or show up to a house party with a 6-pack. However, there’s also no question that taking that whole fermentor full of beer and transferring it into ONE container is a much easier task of packaging. And not having to figure out how much bottling sugar is needed for your lager vs. ale that was fermented at a cold temperature but bottled at a warm temperature, is also nice. Just like there are products out there that make bottling easier, there are also products out there that make sharing your draft homebrew easier, too. While you can certainly fill a growler with your draft beer and have a nice compact mobile size, for those that really want it easy, Cool Brewing comes to your rescue. 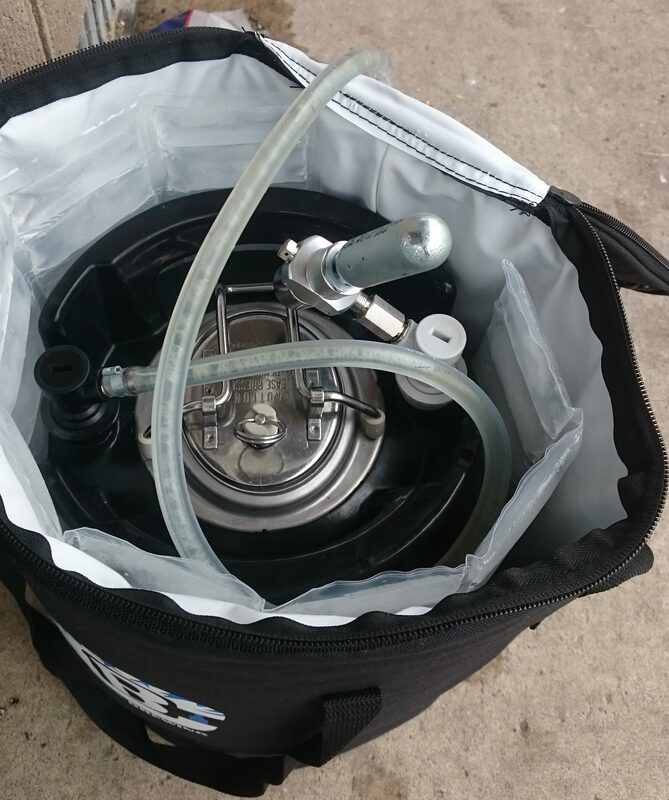 They make insulated bags so you can just stick your entire keg into the bag, throw in some ice, a picnic tap, and a portable CO2 regulator and you’re ready to go. Cool Brewing makes these in both a 2.5 gallon and 5 gallon Corny keg size. For me, that was great because I have an equal mix of both size kegs. I make a lot of 2.5 gallon batches because I’m impatient to move on to the next thing I want to brew. 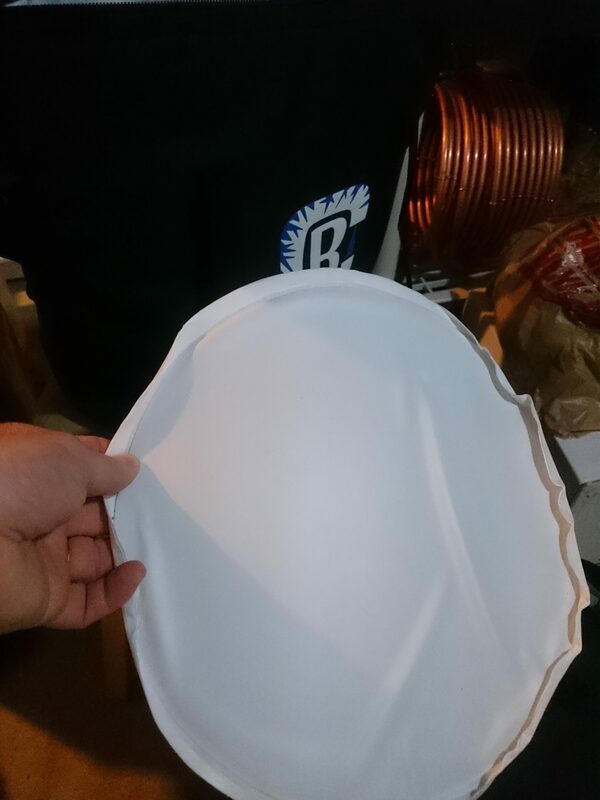 As it turns out, this size works great for these Corny keg cooler bags. 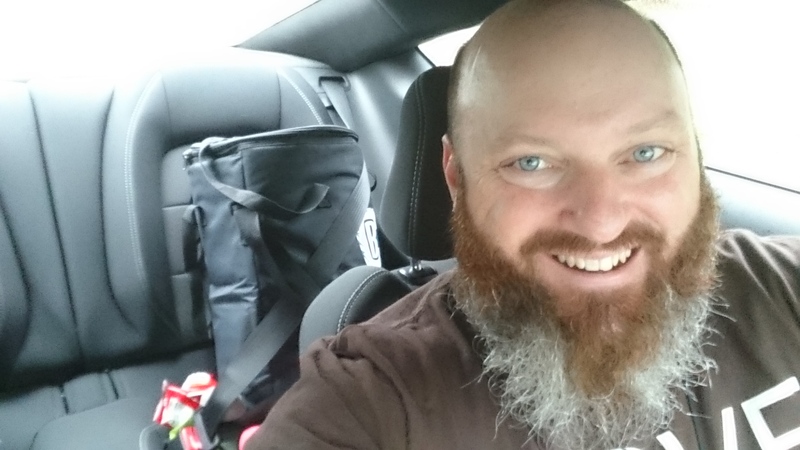 It fits more easily in your trunk or backseat to transport, and if you have to carry it more than 10 feet, you’ll appreciate the weight difference. Of course, depending on the party, 2.5 gallons might not cut it, so that’s when the 5 gallon size comes in. Both bags have the same features. The material is quite durable and seemingly indestructible, and the black color is forgiving for those drippy picnic taps or overzealous neighbors that overfill their cup. It cleans up very easily with a wet paper towel or cloth and doesn’t show any discoloration. 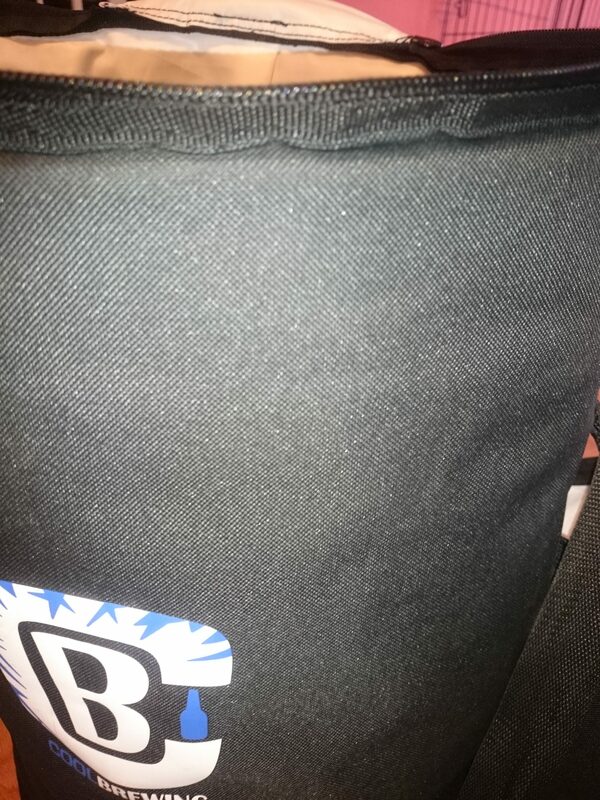 The inside liner of the bag initially looks less durable because of the smooth, non-porous white surface. 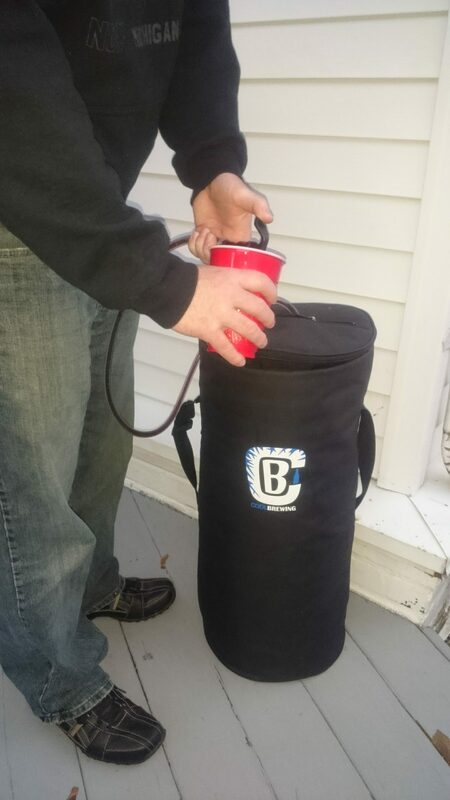 But it too, is actually very durable and can handle roughly putting your keg in there, and the waterproof nature of it means you can fill it with ice and not have a puddle of water on the ground/floor. The non-porous surface makes for very easy clean-up afterwards as well with a damp cloth. The top of the bag unzips to allow you to fold the lid completely back and out of the way while loading/unloading your keg. The walls of the bag are sturdy enough as well to allow you to load your keg and not require 4 sets of hands, which is nice. Once the keg is loaded, you fill it with ice or the custom-made re-usable ice keg sheets they sell (which means chilling doesn’t require a trip to the nearest gas station for a bag of ice). 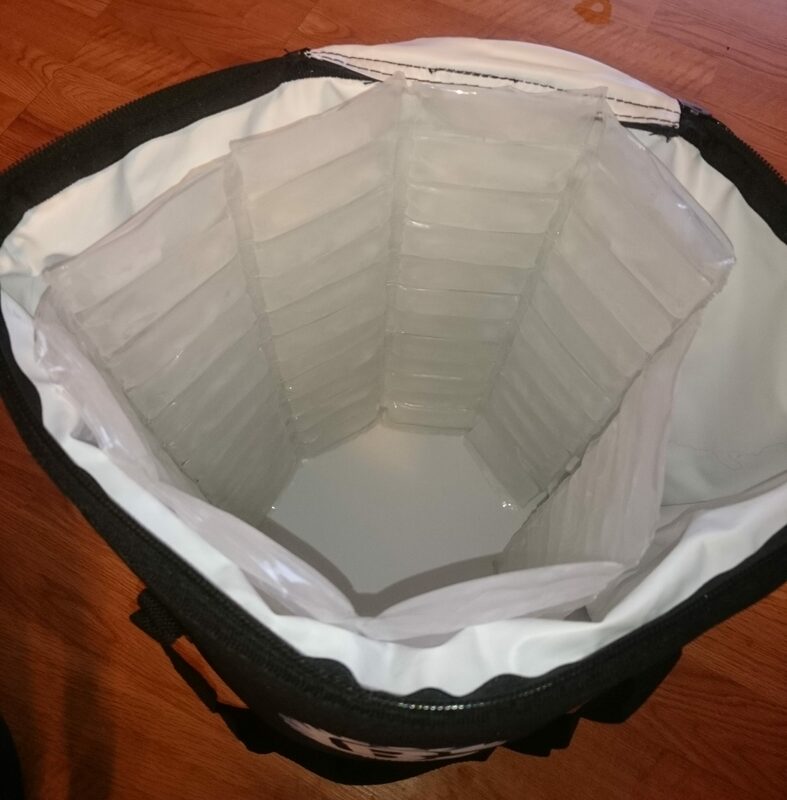 In the middle of the lid is a dual-zipper strip where you can feed through your tap, but zip up to keep as much cool air inside as possible. This also allows you to fiddle with your portable CO2 dispensing equipment through this easy-access hatch and zip it back up. Most importantly, the zippers are high quality, heavy-duty grade. 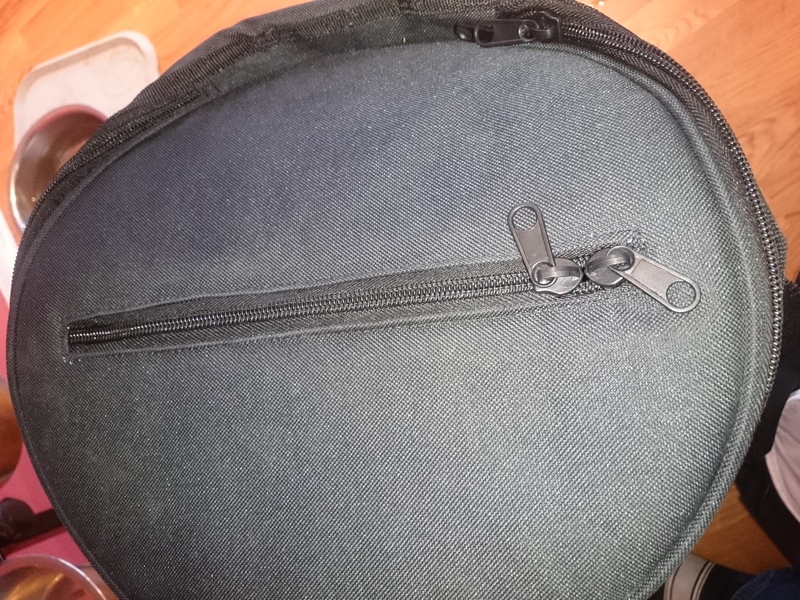 If you’ve ever bought kids back-to-school backpacks and tried to save some bucks, you know cheap zippers. These are not those zippers. Overall, the bags are very well made with good quality materials (and zippers). It’s an affordable and easy way to bring your draft homebrew to the party and impress your friends with your mad skills. Or if your strategy is to take those beers that didn’t quite work out, and disperse them to your less picky friends, these bags also work for that. Special Thanks to Cool Brewing for providing the unit used for evaluation in this review. This entry was posted in Amazon, Draft, Featured Reviews, Portable Serving, Reviews, Reviews & Top Posts on February 28, 2018 by admin. I used mine this past Super Bowl Sunday for a party at a neighbor’s house. Took the 5-gallon keg with two ice blankets over at 1:30pm. Six hours later, beer was still ice-cold!